The pervasiveness of moving to the cloud is demanding organizations to think and operate in a new way. To thrive in this new era, cultivating next-generation skills and capabilities is imperative. Our Education and Enablement team helps you build cloud-native skills that achieve and sustain new levels of competitive performance. Our proven modern techniques will enable individuals and teams to innovate faster so your business will not just survive, but thrive, now and in the future. Whether you’re looking for personal development or team training, we offer the best cloud-native resources to accelerate your cloud adoption. Validate your skills with Pivotal experts to unveil your greatest potential within the industry. Develop the modern skills that you need to excel today in an academic environment with options from live, virtual and on-demand. Validate your cloud-native achievements with our industry-leading certifications. 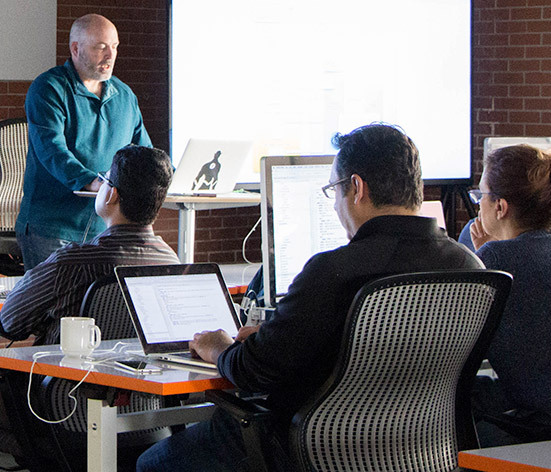 Evolve your ability to develop high-quality software in an immersive, hands-on environment. Learn by “doing it” rather than “talking about it”.